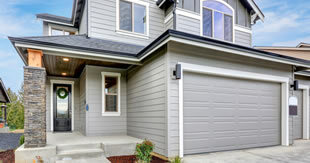 Siding, Windows & Doors Contractor | Arrow Exteriors, Inc. 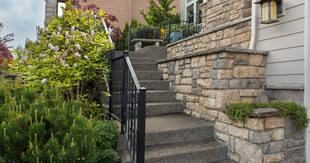 RESIDENTIAL EXTERIOR RENOVATIONS DONE THE RIGHT WAY! Our specialized skills, fine workmanship, and invaluable experience will give your home the benefits it deserves, including greater resilience, enhanced protection, and an appearance that’s remarkable for its beauty and charm. WE ARE COMMITTED TO PROVIDING OUR CUSTOMERS WITH HIGH QUALITY EXTERIOR RENOVATIONS THROUGHOUT TOPEKA, KS, LAWRENCE, KS AND MANHATTAN, KS AREAS. The siding on your home is meant to serve as a powerful shield. It gives your home important protection against all kinds of harsh weather, including high winds, heavy rain, and periods of freezing temperatures. Along with serving its practical purpose of preserving the structure of your home, your siding plays a key role in making your home more beautiful. Whether you’re using vinyl siding, fiber cement, or stone veneer, the siding should give people a powerful positive impression. Its texture and colors should match the architectural style of the house and coordinate with other elements of the design. Has the time come for you to replace your siding? Maybe you want to give your home a more fresh and beautiful appearance. 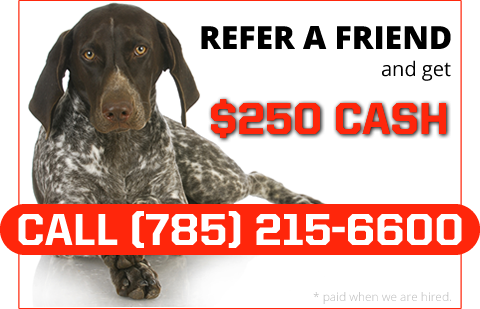 It’s also possible that your current siding is cracked, peeling, or rotten. Neglecting it means that you’re exposing the structure of your home to further damage. Call on us to help you install new siding in a way that strengthens your home and enhances its beauty. We use products that are known for their high standards, and we work on your home with thoroughness and profound care. Whether you’re looking through them from the inside or getting an impression of them from the outdoors, windows play a key function in your home. They can improve your well-being by letting in plenty of natural light and fresh air. They offer you lovely, calming views while contributing to the beauty of your home’s interior and exterior. They help give your home a particular style and character, and they play a practical role in protecting you from rain, snow, severe temperatures, and pests. Whether it’s a small window on an upper story or a large one taking a prominent place on the ground floor, you want each window to be resilient and beautiful. 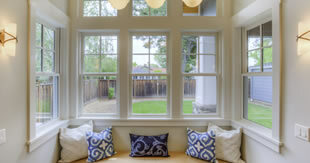 We’ll make sure your windows fit exactly into your home and that you can use their moveable parts without any problems. You’ll have a full understanding of the scope of each project, including the differences between new construction and retrofitting. We rely on windows from top brands. They come in a variety of styles and will readily reflect your personal taste. Whether you want to update the look of your home or replace damaged windows, you can depend on the high caliber of our work. Doors often don’t get treated well. People push them roughly, let them slam shut, and yank at the knobs and handles. Especially if you have kids or pets, your doors are likely to get hit with damaging forces. Day after day, your doors experience a flow of traffic in and out of your home. They need to be resilient, and it’s necessary for all of their components to keep working without a problem. What else do you demand from your doors? Doors need to protect your home from intrusion, repel pests, withstand foul weather, and help you maintain a steady indoor temperature. If they have glass panels, you rely on them for extra light and a view of the outside world. 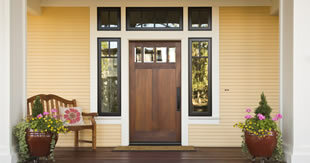 Your doors can also leave people impressed with the style of your home; a door may be charming, inviting, or grand. Do your doors perform all of these functions? With our assistance, they can. Using the finest door products, we work closely with you to choose the doors that will last for years and enrich the beauty of your home. Whether it’s a front door, patio door, or storm door, it will have the strength to successfully carry out all of its functions. A deck lets your home flow out onto your property, giving you more space for activities and leisure. Your deck needs to stay strong against trampling feet and scraping furniture. It shouldn’t succumb easily to warping or rot. Pests shouldn’t be able to camp out permanently in it and damage its structure. It also shouldn’t produce splinters. How can a deck stay strong in the face of frequent use and exposure to severe weather conditions? That’s where we come in. Using powerful materials, including cedar and high-quality composite products, we’re adept at constructing decks that last. Because our decks are resilient, they retain their beauty and charm, making a lovely addition to the exterior of your home. We understand how to keep the materials in good condition and can advise you on long-term maintenance; the quality of our work will reduce the amount of maintenance or repairs you’ll need to perform in the future. Let us know your preferences, and we’ll give you a structurally sound deck with a layout that suits your needs. 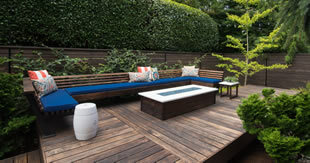 Whether you’re using it for solitary relaxation or birthday parties, your deck will be able to accommodate your demands. Do you want to give your home a more distinctive look? The appearance of stone evokes the forces of nature, the wind and water that gradually alter different rocks and give them various shapes and textures. Your home becomes more strongly associated with the qualities of stability and permanence. When chosen well and installed with sterling workmanship, stone and brick veneer inspires admiration for your home. Choosing a suitable veneer can make you feel like an artist. There are numerous options in different colors, and each type projects a specific atmosphere. You need to find a stone and brick veneer that looks like it naturally belongs with your home, as if it has always been a part of the structure. We can help you evaluate the choices and consider their fit with the rest of your home. By thinking about the picture your home presents, including the architectural elements that match well with certain kinds of stone and brick, you’ll come to a strong decision. After that, we’ll apply our superior skills to installing the veneer. We work with care and respect for your home. The result is stone and brick veneer that elevates the stature of your home and increases its value. What may happen to your home if your gutter overflows? Over time, your foundation may suffer serious damage from the excessive water that fails to get diverted from it; foundational damage can destabilize your home. The materials that make up your home may suffer an explosion in mold growth. They may also experience rotting, warping, and other types of disintegration from the accumulated water. 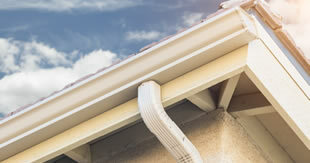 Your gutters form a necessary system that preserves the health and integrity of your home. If they get clogged up, they overflow easily and potentially weaken under the weight of the blockages. What can prevent leaves, twigs, and other debris from blocking your gutter system? Gutter covers from GutterLock are a cost-effective solution. We have the necessary training to install GutterLock’s protective systems and ensure that they form an exact fit with your home. We’ll account for the shape of your roof and work within your budget. Once you start using GutterLock, you won’t have to devote large chunks of time to cleaning your gutters, and you’ll prevent costly problems from gutter clogs. Maintaining your home will become a much easier task.